The most recent classic Doctor Who action figure set to be released is from the Jon Pertwee story The Dæmons. 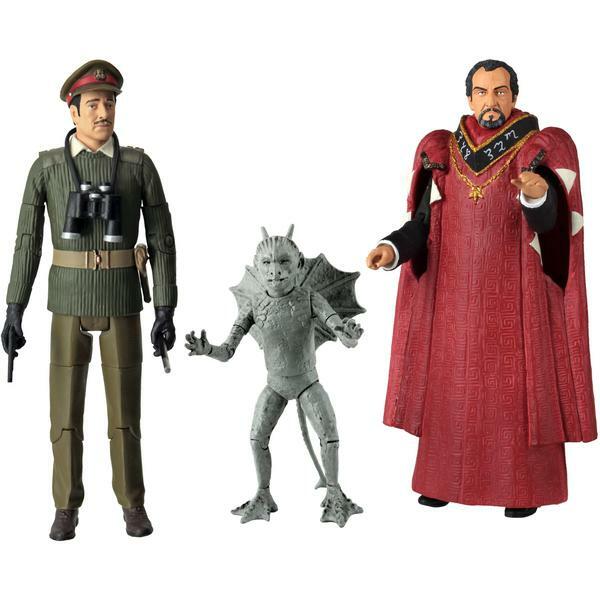 So another Brigadier figure that (when this is released) we will always have two of, and a cool Master variant, and the new addition of Bok. I'm sensing a bit of a pattern here. Two old figures with a slight change or a different variant plus one new figure. This set is £29.99 and available to pre-order from Forbidden Planet, it is meant to be released on 2nd September 2013.